Sail away this 13 of July on the ever popular, award winning Whirlwind. 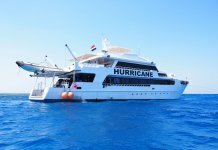 This is a classic itinerary in the Northern Red Sea with up to 22 dives over the week. Depahttps://www.scubatravel.com/new/availability/tripdetails.php?&ref=37865rting from Hurghada, you will spend 7 nights on board on a full board basis (twin share cabin). All marine park fees, 12lt tank, air fills and weights are included in your package. Flights are with Easyjet from Gatwick and transfers are also included. At the end of the week, you will have day use of a hotel and buffet lunch while you wait for your flight home. 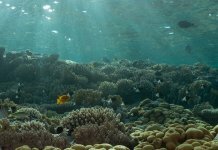 Bali manages to deliver Indonesia’s stunning reef systems, packed with critters, at an affordable price. 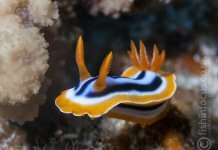 Most dives here are reef dives and there is no one better to guide you through than the team at Scuba Seraya. Photographer? This is an ideal choice. Small groups, unhurried service and experienced dive guides are just some of the attractions! 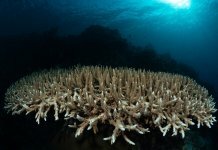 Many divers start with the house reef Seraya Secrets and Noisy Reefs. Drop in and the coral gardens open up. 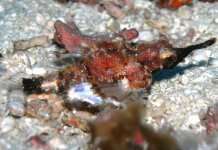 Here you can find a huge range of exotic macro life… frogfish, zebra crabs, ghost pipefish, mimic octopus to name but a few! 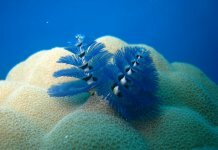 The house reef is just the start. Alam Anda, Batu Niti, Jemeluk, Gili Selang – there are sites a plenty. No trip is complete without a dive on the Liberty wreck. This vast cargo ship sits almost on the beach and is perfect for all experience levels. Vast schools of jacks and goatfish swirl around the wreck. 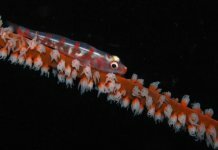 Descent to the bow and you will find a coral encrusted gun next to a pygmy sea horse sitting on his sea fan. 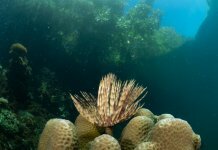 A unique voyage through some of the most exclusive Caribbean islands onboard Caribbean Explorer 2 – dive St Kitts and the remarkable Saba Island with up to 5 dives a day! You have 7 nights on board on a full board basis (twin/double share cabin). Local, social servings of alcohol are included, along with soft drinks. A 12lt tank, air fills and weights are included in your package with up to 5 dives a day on offer (except first and last day). All trips are fully guided with expert guides. The last night Friday dinner is not included in your cruise. The crew will help with reservations and recommendations. To pay locally are the departure tax, fuel surcharge $80, park fees $115, nitrox $150 per week, optional land tours, additional kit hire and any onboard souvenirs. Please let us know if you would like to prebook any courses on board or have any dietary requirements. Save £245 Spend more time in South Ari on this pelagic packed Maldives liveaboard adventure! 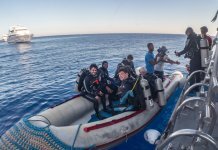 Dive the seasonal hot spots from a dhoni tender with an average of 17 dives (including 1 night dive). You have 7 nights on board on a full board basis (twin/double share cabin) – upper deck cabin upgrades available. All trips are fully guided with expert guides and include 12lt tank and weights, as well as FOC nitrox. Excluded are alcoholic drinks, fruit juice, fizzy drinks, additional kit hire and any onboard souvenirs. Please do not? forget to let us know if you would like to prebook any courses on board or have any dietary requirements. This holiday does not include international flights. Male airport transfers are included. We are able to add flights with a wide range of airlines, including regional departures. Flights will incur a small booking fee. Please ask your consultant for a competitive quote for any flight option. Do not book any flights until your boat space is confirmed by Scuba Travel. Transfers operate at fixed times. A truly magical itinerary for divers that love reef diving and abundant biodiversity. You have 7 nights in a deluxe stateroom on a full board basis, including all soft drinks and a limited selection of local beer and wine with your evening meal. There are master cabin and suite upgrades available. simply ask your travel consultant at the time of booking. 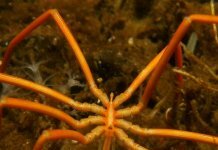 Over a 7 night trip, you can clock up an impressive 25 dives. 12lt tank, air fills and weights are included in your package. All trips are escorted with 2 expert divemasters. There is a USD200 Port/Marine Park fee per person to be paid on board. Excluded are the Oman entry visa, alcohol, additional kit hire and any onboard souvenirs. Please let us know if you would like to prebook any PADI courses on board or have any dietary requirements. Diner on Friday evening is not included, although the crew will assist with recommendations and reservations. Transfers will be prebooked but have to be paid for locally in cash USD35 per person per way – the transfer time will be advised locally.